It's been over a month since I last blogged and yet it feels longer. A lot has been going on. 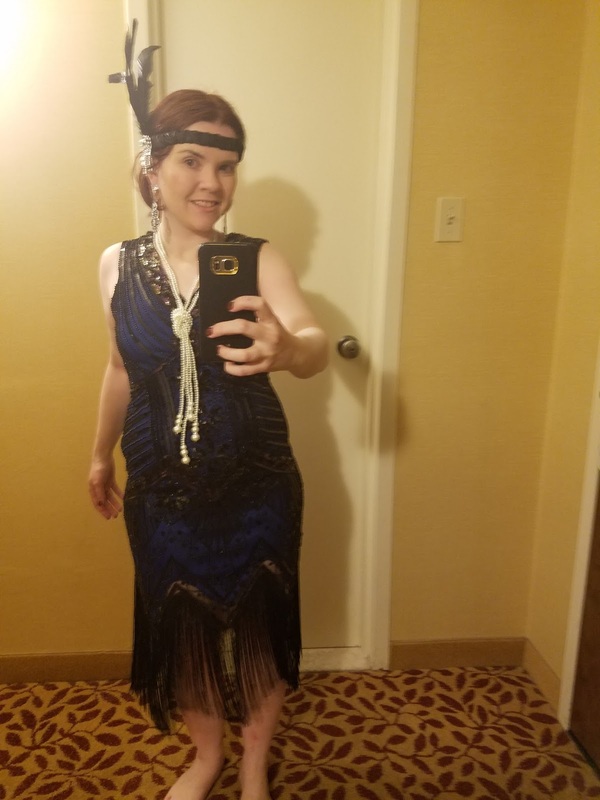 I recently celebrated my 34th birthday. 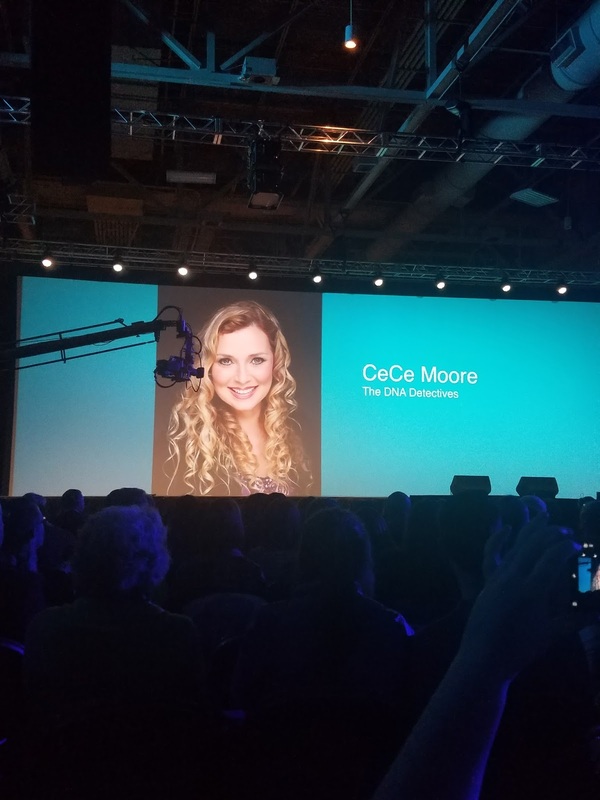 I have some upcoming lectures for the next couple of weeks and of course preparing for RootsTech (registration starts 9/20!). The latest BSO (bright shiny object) was the updated ethnicity estimates rolled out by Ancestry, due to an estimated 13,000 reference samples added to the database. I took a few screen shots to the show difference. I'm showing that I "lost" Scandinavia, Iberian Peninsula and a few other trace regions. My Irish/Scotland and European Jewish estimates increased and I gained Baltic States (refined from Europe East). Overall, nothing drastically different but it does line up more with the paper trail. What updates did you notice on your AncestryDNA estimates? I recently returned from a work trip to Folsom, California. It was a hot one! Over 100 degrees each day. At least no humidity but a bit too hot to stop by a local cemetery. 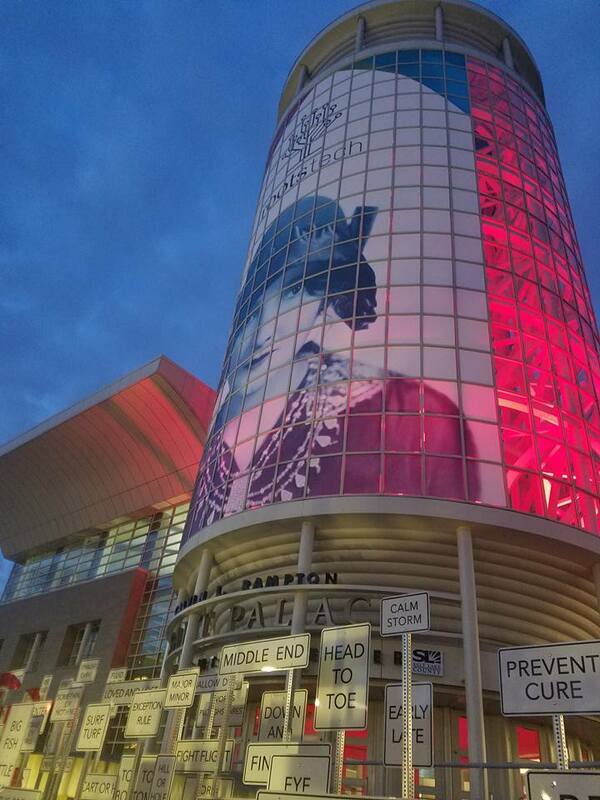 Due to my work and flight schedule, I had only a short amount of time for my next #genealogyontheroad excursion. 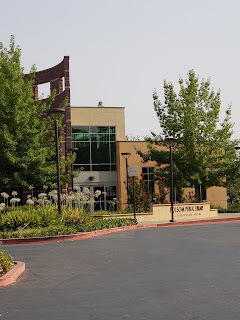 I visited the Folsom Public Library one afternoon after work. 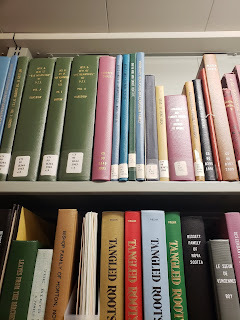 It's a small library and had only two small shelves held the genealogy books (seen below). I love uncovering local history at the public library. You always find some kind of treasure and this trip didn't disappoint. I wandered into one of the reading rooms (which was really beautiful and relaxing). On the wall there were several frames that had a marked up document with lots of edits. I peered closer and noticed a framed note that said "The original copy of President Abraham Lincoln's first Inaugural Speech was presented to the City of Folsom, California on June 7, 2010 in honor of the 150th Anniversary of the Pony Express". It goes on to say that on March 4, 1861 President Lincoln delivered his first speech and it was dispatched by Pony Express to Folsom, CA. It was then later transmitted by telegraph to Sacramento and across the state of California. 1. Obtain a guest pass to use the computers. Folsom Public Library had theirs in a bowl by Reference - it's free to use. 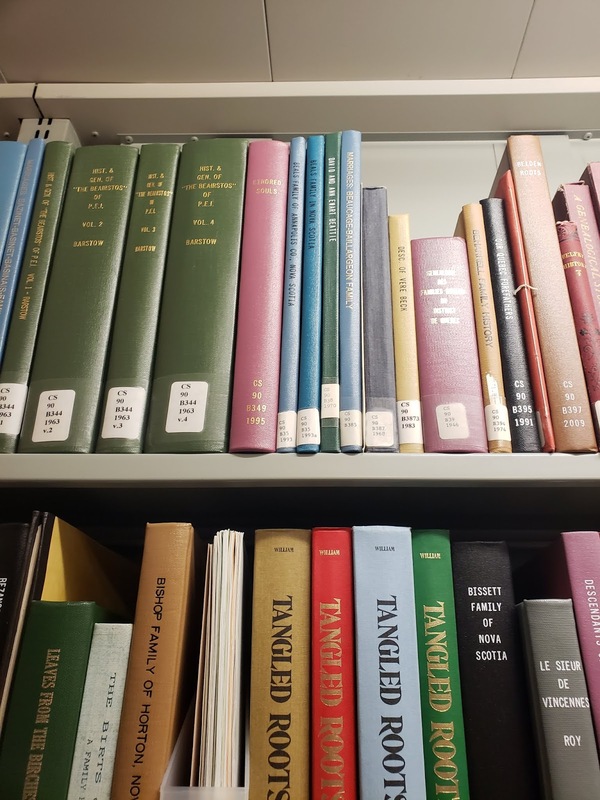 Then peruse the library's databases to see if you can uncover anything that may help your research - newspapers, local history, etc. 2. Wander the genealogy section. You may uncover a book that few libraries have access to. 4. 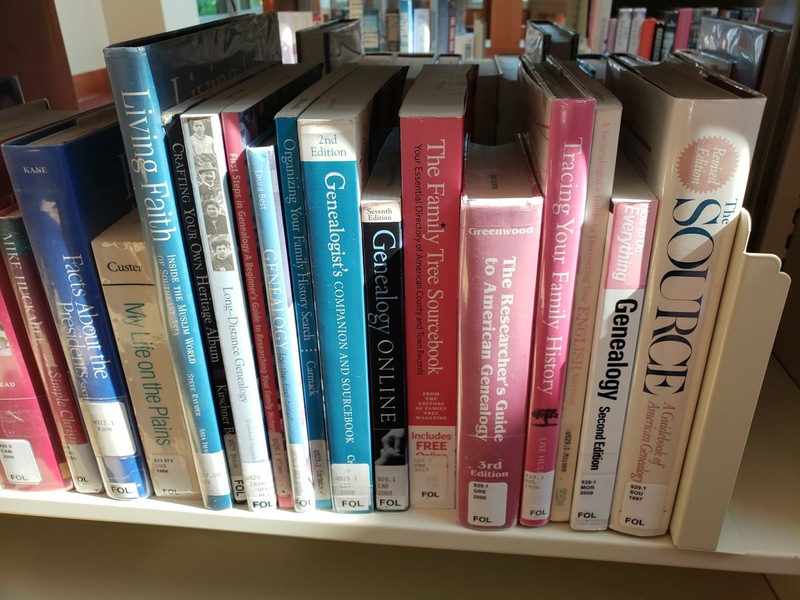 Ask the reference librarian if they have any genealogy resources. Unfortunately, Folsom didn't have a genealogy club or regular events but they did direct me to Sacramento, which I previously blogged about. 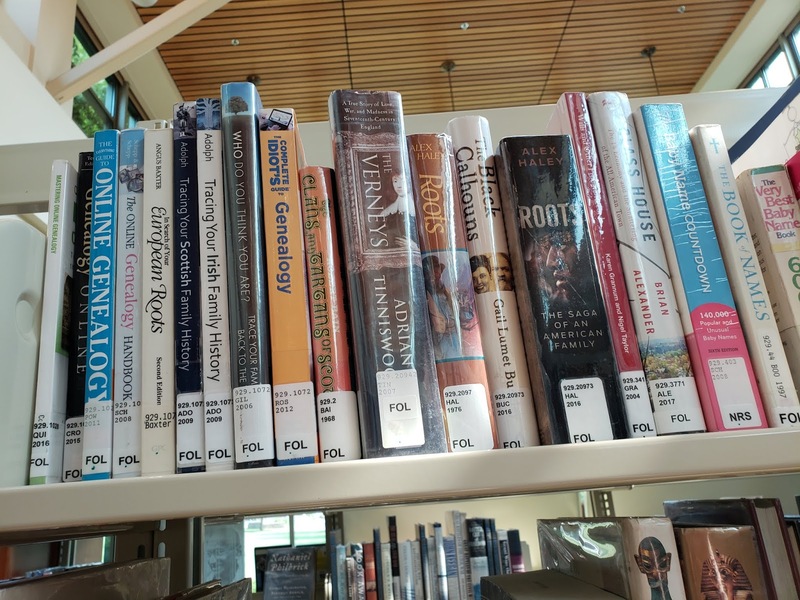 What local history treasures have you found in a public library (either near you or on the road)? 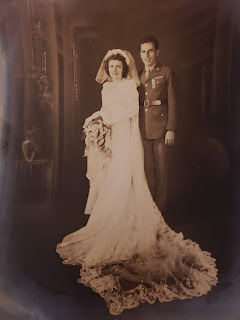 Any genealogy connections? Welcome back to Genealogy On the Road! I just returned from another trip to Western New York for work. 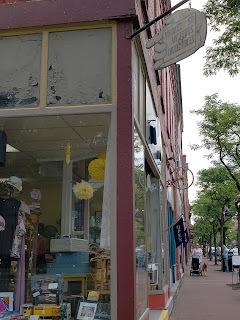 My latest adventure was doing some shopping at one of the local antique shops in Corning, NY. I've been to a few shops over the last year and bought a few treasures along the way, some of which I'll highlight here. There are a number of things that you can find in an antique shop that may be of interest to you. I was amazed at the different types of photographs left "orphaned" in the stores. I even found a wedding picture (below), which made me sad that a family didn't want to keep in their family photo collection. Wedding Picture - Unidentified Couple. Found in Corning, NY Antique Shop. I plan on starting to date them and hopefully re-unite them with a descendant. I'll be posting these photos on sites like deadfred.com. 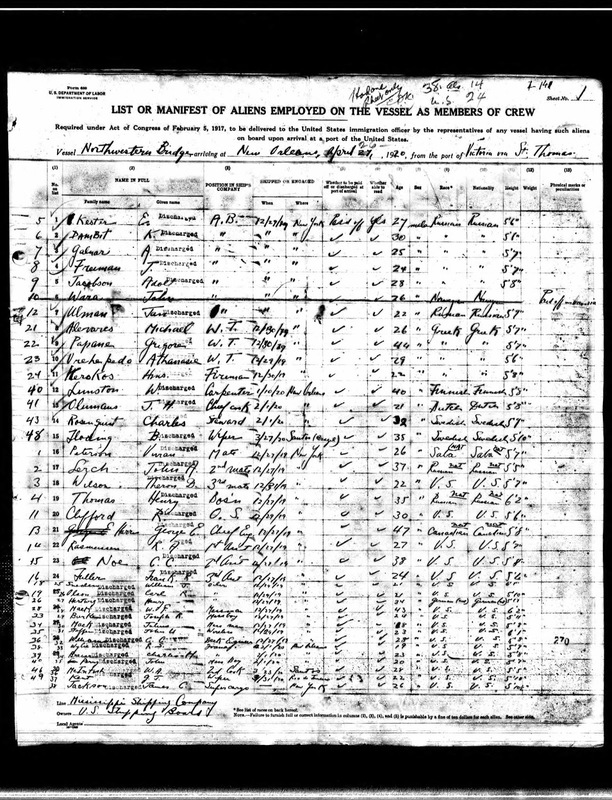 If you have any clues on possible descendants, please contact me at shamrockgenealogist[at]gmaill[dot]com. I feel like I'm finding a gold mine when I can locate military antiques such as medals and pins. These items are tied to specific wars and sometimes specific regiments. 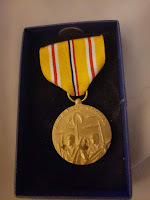 Imagine holding a medal like one that your ancestor was given for their service? 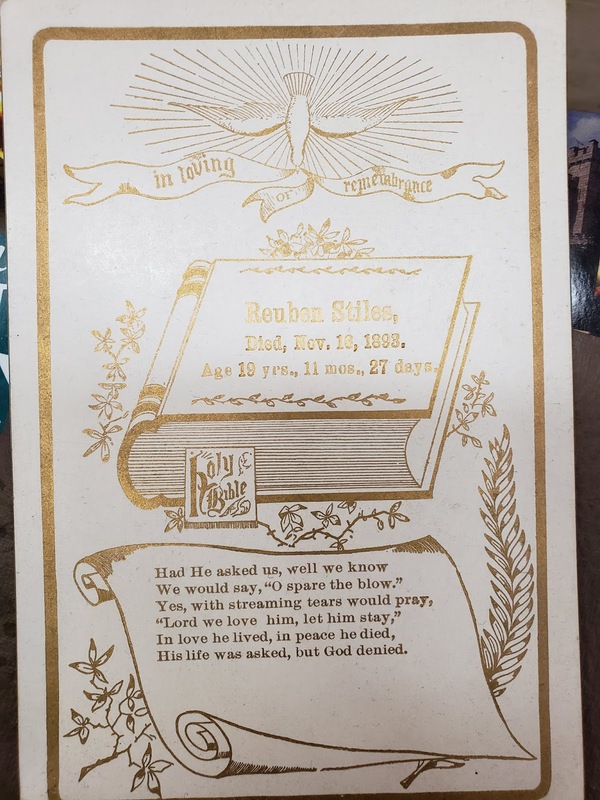 One of the latest documents I found was a memorial card for a young man who died at the age of 19 years old, Reuben Stiles. This would be something that would be created for a church service. The back of the memorial card says Geo Mitchell, Manufacturer of Fine Memorial Cards in Middletown, Ohio. One might think that the person died near Middletown, Ohio but we need to remember it was found in an antique shop in Steuben County, NY. We can't discount where it was found. I did a search on Ancestry.com to see if I can find Reuben Stiles and I think I located him. He was the son of Albert Stiles and Nancy Leach, born on November 19, 1873. This birth date matches up perfectly when compared to the age on the memorial card which lists his date of death as November 16, 1893 where he was listed age 19 years, 11 months, 27 days. A mere 3 days before his 20th birthday. According to his Find a Grave memorial, he was buried in Chenango Cemetery in Troupsburg, Steuben County. I'm confident that I will find a descendant of the Stiles family who would like to add this to their collection. I also found a small booklet for the consecration and dedication of the "Frank B. Hower Scottish Rite Cathedral" in Corning, NY in 1921. It includes several pictures and a history on the project. The masonic temple was closed in September 2005 and items were auctioned off to make room for a smaller facility. I wonder if this booklet was one of the items auctioned off and sold to the antique shop. Or perhaps a former member's collection was donated after they passed. I will be doing some research and following up with local archives in Steuben County to see if they would like this part of their collection. I think it's a very valuable document for local history as well as genealogy for members that helped found the masonic temple. 1. Be prepared to spend some time poking through the shelves. Some of the biggest finds were items that I found tucked away from the clothes, hats, and toys that were for sale. 2. Bring cash - a lot of store owners will appreciate cash (less fees for credit/cards). 4. Make friends with the owners - a lot of them are interested in history and genealogy! 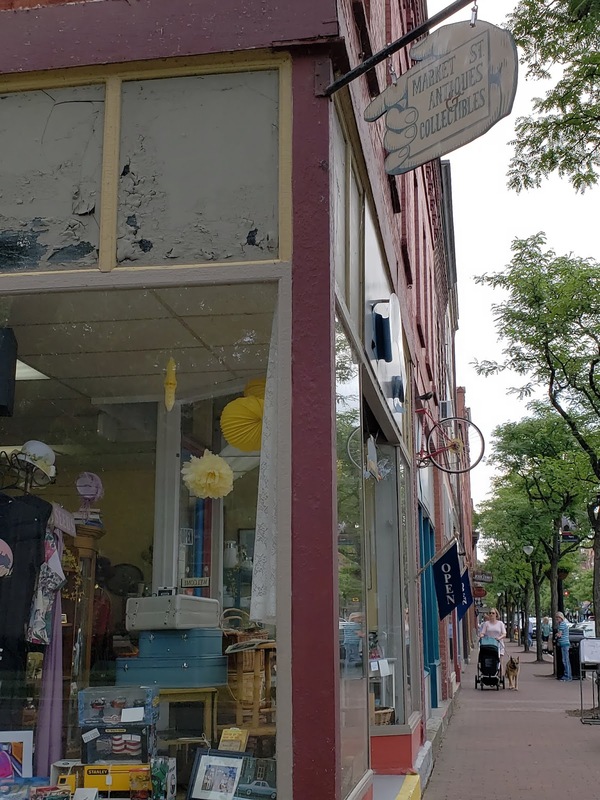 What kinds of treasures have you found at an antique shop? Did you strike gold with finding something that belonged to one of your ancestors? Share in the comments below. I've been on the hunt to find out more about my maternal great grandfather Anton Gailunas. If you've been following me on Twitter, I have been sharing some of my recent findings while reviewing ship manifest records. My grandmother has asked me to assist in finding out more about why he left for America and left his mother and father behind, to help fill in his immigration story. Here's what I knew about Anton when I first started researching: He was known to others in the family as "Eddie Gail" and was a jewelry engraver. He was born on August 23rd. His wife's name was Mollie. 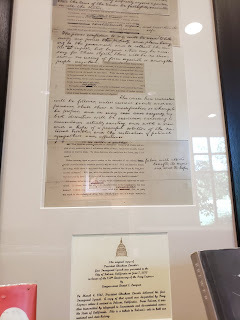 One of the first documents I found was his petition for citizenship. That's how I found his birth name "Anton Gailunas". 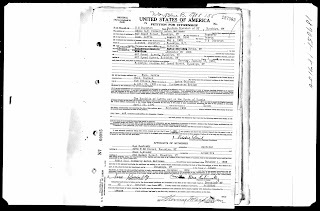 He is listed with my great grandmother Mollie (whose birth name was Mathilde Siegel) as well as my grandmother, Dorothy, living at 467 Grand Street, Brooklyn, NY. Anton listed he was born in Riga, Latvia. This has been a subject of debate as several census records list his birth country as Lithuania. After confirming the petition was accurate, I went one page ahead and found the declaration of intention and found a picture of him listed. 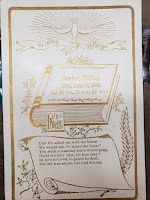 The declaration also listed Mathilde's maiden name "Siegal" and her name she was known as in America "Mollie". His description was listed: blue eyes, brown hair, 5'5" tall, 145 pounds with a birth mark on right side of neck near jowel. Address was listed at 374 2nd St, Brooklyn, NY. Recently, I was researching his immigration to America. I found a 1915 ship manifest record that showed an Anton Gailunas listed as a sailor heading to NY from Hull, England (which is where Anton was listed as sailing from on his petition for citizenship). However, what was significant about this record is that the line is crossed out. 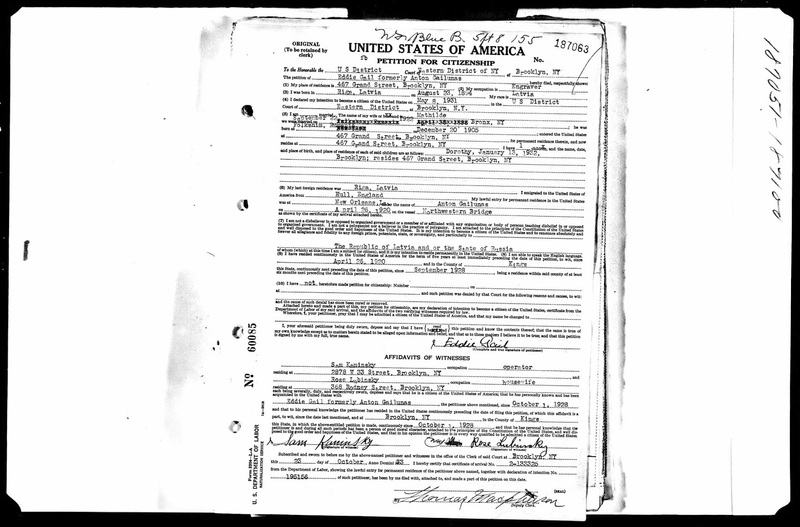 In speaking with other genealogists, this indicates that Anton probably didn't make the boat and was struck out to keep an accurate record of crew members. 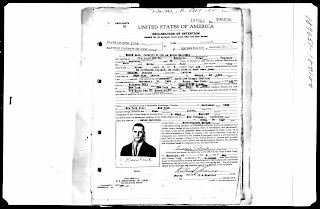 I went back to the petition for naturalization and focused on looking for the ship manifest for the S.S. Northwestern Bridge arriving in New Orleans on April 26, 1920. No records came up. I was stumped - did they not survive? Then recently several of my genealogist friends pointed out it was probably a merchant ship (similar to the 1915 manifest). One of my good friends found the ship manifest record for the Northwestern Bridge. The name wasn't very precise but that looks to be Anton listed as "A. Golnar". His rank was listed as "A.B. ", able seaman. What's next to find about Anton? 1. 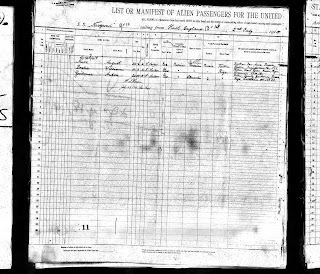 Ship manifest from Latvia (or nearest port) to England. 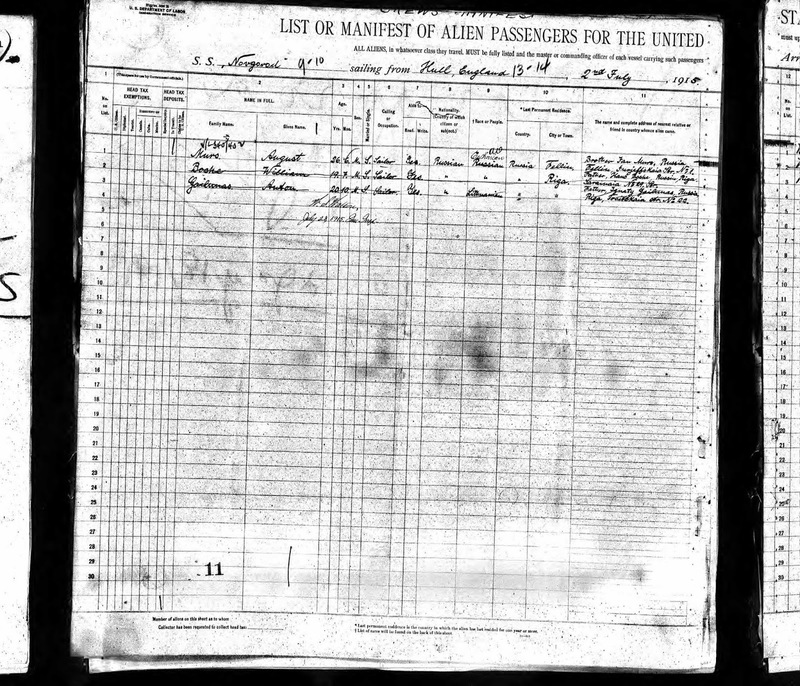 I did find a possible manifest from the Hamburg passenger list record. I need to review this document further. 2. Research his father a bit further and see if I can find any details about him in Riga. It might necessitate an email to the archives there to see if they can find anything. 3. Research more about Anton's employment as an engraver in the U.S. 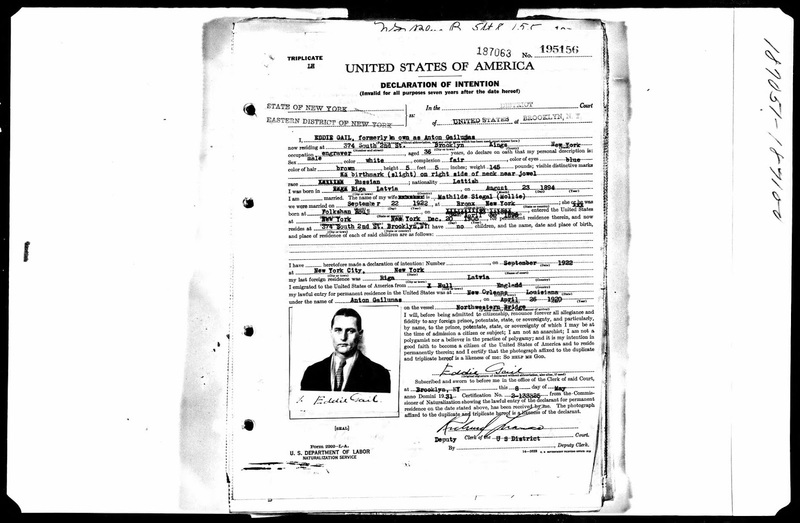 If you think you may be related to Anton, please contact me at shamrockgenealogist[at]gmail.com. I would love to connect with Gailunas relatives. Welcome back to my blog series "Genealogy On The Road"! 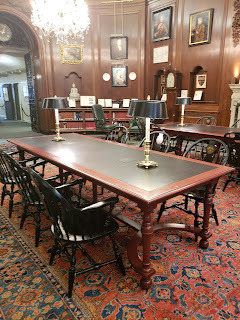 My next trip was to the New England Historic Genealogical Society, which has an on-site library. I spent a full Saturday there from opening last weekend (literally getting there before they open) and leaving just a little bit before closing to make my train. 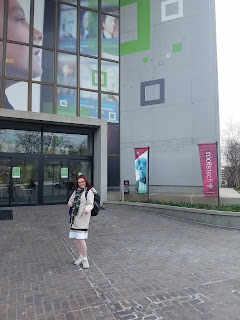 This wasn't my first trip to NEHGS but it was my first full day there. I have ventured off to NEHGS after a few work trips when I was travelling downtown for a client project (back when I was living in Syracuse). Those trips were tough as I came with my big bag (even dragged in the snow) and I only had maybe an hour before having to take my cab to Logan airport to catch my flight back home. Look Familiar? This is the room where "Finding Your Roots" is filmed. I actually left as they were working on setting up for the next series filming. Sadly no Dr. Henry Louis Gates sightings. 1. Make friends with the Visitor Services Representatives (staff members at the Front Desk). They graciously hold my luggage when I am travelling behind the desk and have even called me a cab before. They're very friendly people so be nice to them. You also don't need your membership # - they can look you up by name. 2. If you don't have a membership, you can buy a day pass for $20. I highly recommend having a membership if you plan on going to the archives or if you want to use their databases remotely. 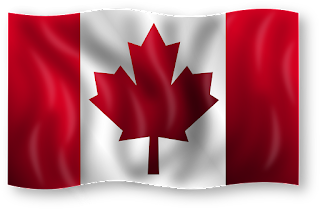 It's affordable and if you are a member of a society like Ontario Genealogical Society, you can get a discount. 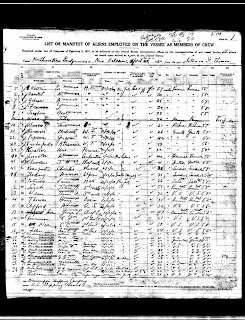 NEHGS computers also have access to databases like Ancestry.com, Boston Globe archives, FindMyPast, and Fold3 to name a few. 3. Take advantage of the microfilm on 4th floor. I spent hours scanning microfilm reels of Prince Edward Island church records that came from the Charlottetown diocese. These are permanent records and may not be available online through FamilySearch's ongoing digitization program. 4. Use the NEHGS online catalog (which can be accessed from home) to make a list of books and microfilm and other files you want to review. Note - Some items may be housed off-site so make sure to request anything that is stored off-site in advance of your visit. 5. Bring a flash drive. It will save you money on copies and you can transport your research with you. NEHGS sells them if you need one. These work well if you're using a microfilm scanner. 6. Bring your computer or smart phone (with charger) so you can access your family tree or research log (I swear I'm going to update it soon!). It's helped me to focus me on records I want to look at next. 7. NEHGS has more than just New England records. 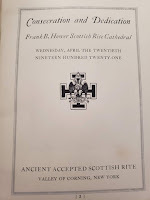 I found a reunion booklet for my Connolly family in Prince Edward Island in the vertical file (another treasure trove) that was donated to their collection. They also have the Jewish Heritage Center on-site. 8. Ask questions of the staff. 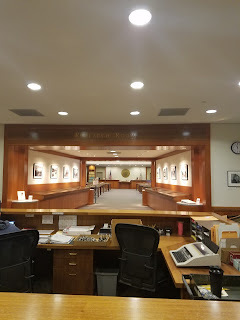 They're willing to help you with your research as well as the microfilm readers when you're swearing (in your head) at the microfilm reel to feed correctly (yes, this has happened). 9. Attend NEHGS sponsored events. 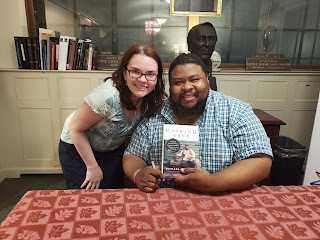 I attended the talk by author and chef Michael Twitty, which was really entertaining, informative and thoughtful. There was also a book signing and opportunity to network with other genealogists. 10. Immerse yourself - it's a beautiful building and there are different collections and exhibits throughout. I took a couple of brief videos and put on my Instagram page. Thank you to the staff for NEHGS to grant me permission to take video for my blog! This isn't an exhaustive list. I'll be adding more in future posts as I'll be going back to NEHGS when I can. I have a profile on genlighten if you would like to hire me to retrieve any documents for you. 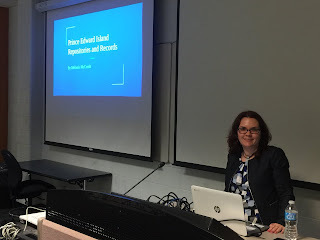 In fact, I'll be there again on July 6th when I will be giving a lecture on Prince Edward Island repositories and records. I hope to see you there if you're in the Boston area! Have you been to NEHGS? What tips can you offer? Share them on social media with #genealogyontheroad. I have been travelling a lot this past year. One of the most frequent places that I go is to Western New York to assist my company on projects for a specific client in the area. It's where I started to get the inspiration for this new series "Genealogy On the Road". After a long day at work, I wanted to get a genealogy excursion in, to take in what's in the area and see if I can help someone in the process. I previously went to the local library. You can read about my experience here. 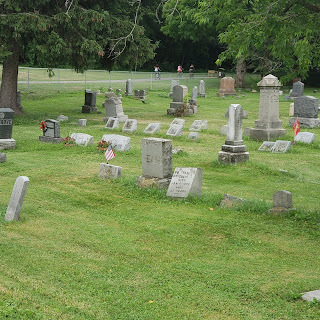 Last week I went back to Western New York and my latest excursion was to check out a cemetery in the small town of Painted Post. I specifically went to the West High Street Cemetery. If you're looking for your family in this cemetery, the Painted Hills Genealogical Societyhas an index online. It was an interesting experience. I walked through rows and rows of headstones going back to the 1800's. It clearly was not in active use and was falling into disrepair. Stones were sinking into the ground and some headstones were so illegible to read. This is why it's critical to photograph each cemetery - it's preserving history. In my talk about using NextGen tools, I encourage everyone that has never visited a cemetery to at least visit once and fulfill some requests. I find that most people enjoy the experience and will do so again. I was never someone that liked cemeteries growing up - it was associated with someone passing away, which is of course very sad. I've only recently over the last few years started going to cemeteries for genealogy purposes. I wanted to give back and help share a photo of them so they can "visit" them, even if it's only a picture online. Gone but never forgotten. I took a small video in the cemetery that I uploaded to social media. I hope to continue to do these short videos to help document my genealogy travels. 2. Survey the cemetery ahead of time online to see what's already been photographed. My Find a Grave app was a bit slow to catch up and was eating up some of my data. I would recommend downloading in advance the photo requests and saving in Google Drive. 3. Back a travel bag for cemetery visits. I brought nothing with me so I didn't have much to work with. I like to bring things like extra water, a little shovel if I need to dig up around the headstone, garden shears to help trim weeds. Make sure you bag in your checked bags to avoid issues with TSA. 4. Bring a change in clothes. Yes, I'm the one walking around the cemetery in my dress clothes melting. I know next time to bring some weather appropriate clothes. I do recommend long pants though because you never know if there are snakes in the area or bugs. 5. Don't rely on your Internet connection to be working. My photos taken through the app all failed so I lost the coordinates and several photos. I did take a few photos on my phone camera (outside of the app) so all was not completely lost. I just don't have the coordinates. 6. Speaking of which, old cemeteries like this don't always have section numbers. Be prepared to mow rows to fulfill requests. I don't think I found a single one that was requested. I did find a few that didn't have a photo and will ad those. What cemeteries have you visited recently? Have you checked to see if they have been photographed and/or indexed online? Share your experiences on social media with #genealogyontheroad. 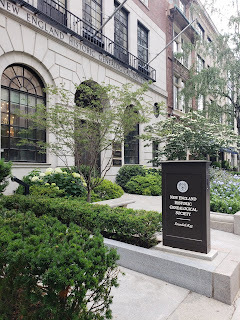 Look out for my next blog post where I head into NEHGS for the day! 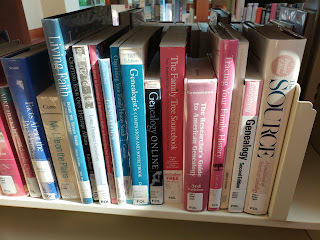 I'm happy to announce a new blog series that I'm starting called Genealogy On the Road. So why am I starting this series? I currently work full time as an IT analyst for a human resources company (it's a bit hard to explain sometimes what I do). I regularly travel to client sites as well as to offices in California during the year so I thought it would be interesting to help document some travel tips for how you can do genealogy on the road. Even when it's a work trip, I try to sneak in a little genealogy time before I go to make the best of the area. Sometimes it works out and other times I'm lucky I see something beyond a business park, a hotel, and a restaurant. I'm heading back to Corning, NY today and hope to squeeze in a small adventure before I leave. I'm also interested in hearing your tips on how you fit in genealogy on a trip. Please email me at shamrockgenealogist[a]gmail.com if you're interested in contributing a guest post or post on social media with #genealogyontheroad. I had the honor this past weekend presenting at the Ontario Genealogical Society Conference held at the University of Guelph, Ontario. This was my first official genealogy conference I lectured at and an international one as well! I gave two lectures, Prince Edward Island Records and Repositories, and How to Incorporate NextGen Tech Into Your Research. 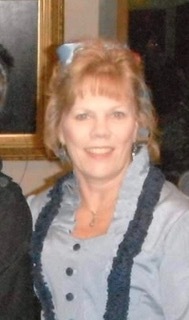 I also talked to other genealogists about NextGen Genealogy Network. 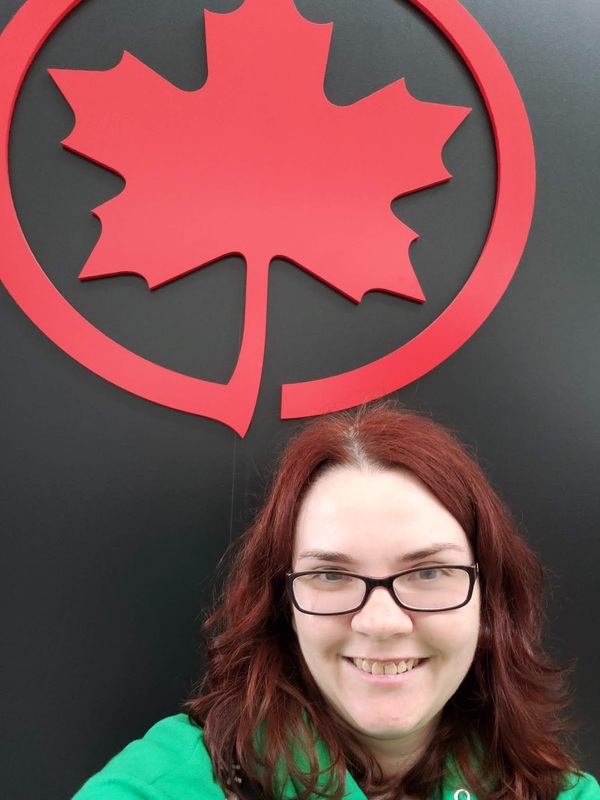 We hope to grow our Canadian presence as part of our partnership with Ontario Genealogical Society. It was a great conference and there were rides involved - golf carts were transporting us all over campus. I have more ideas that I'll be submitting for OGS 2019 as well as RootsTech and other various conferences. 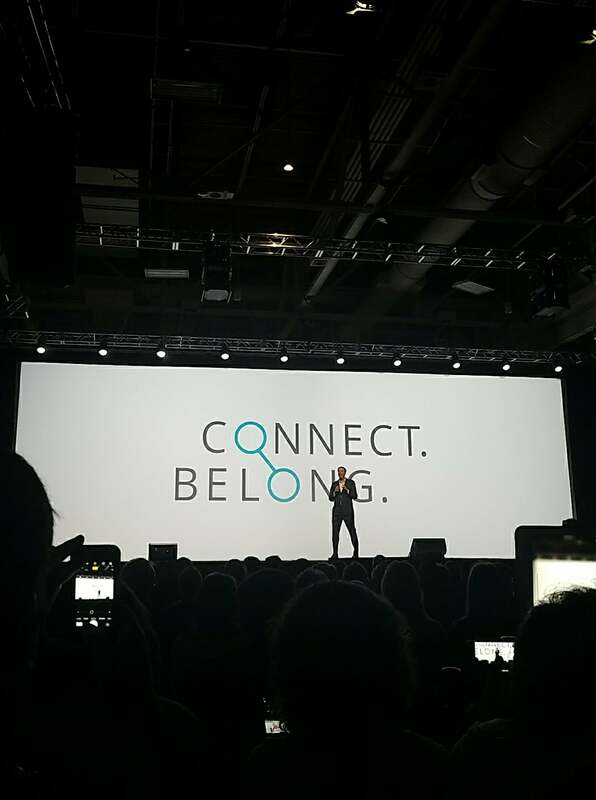 If you're interested in having me speak at your event, please reach out to me. 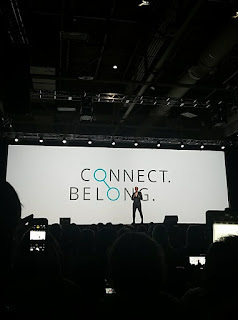 I've included some pictures from the event. 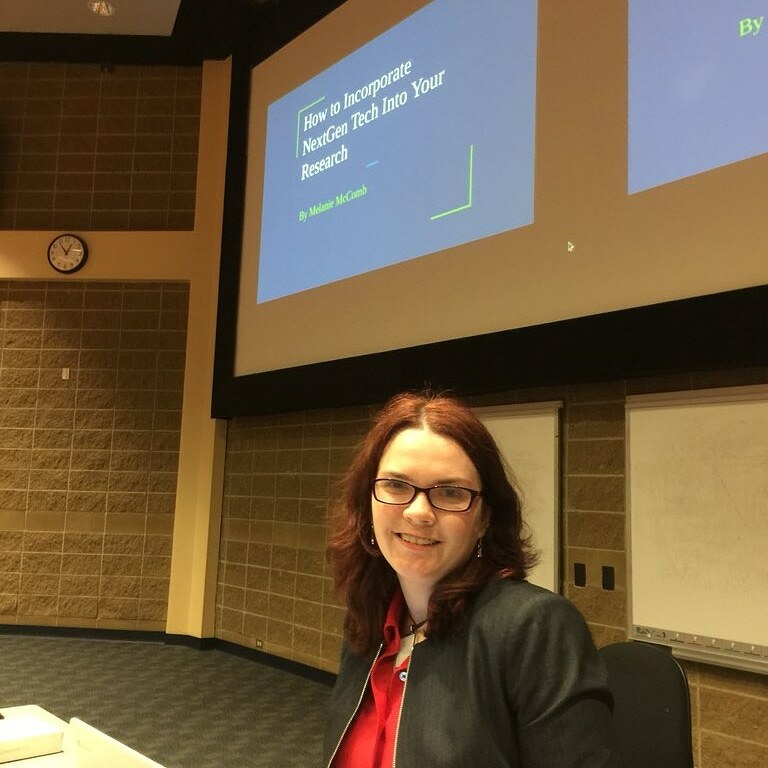 Me at my second lecture "How to Incorporate NextGen Tech Into Your Research"
Oh Canada...Join Us At OGS! 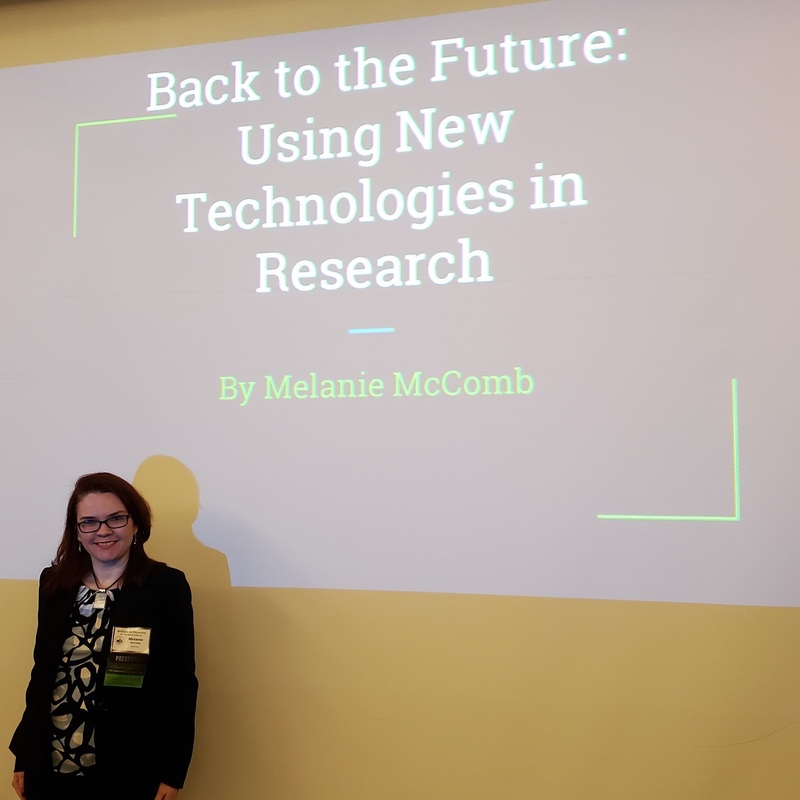 The Shamrock Genealogist has been conducting her lectures this past year, with the most recent one done at the Salina Library in Syracuse, NY this past Monday. I covered how to use NextGen tools to get the younger generation interested in research (such as social media, blogging, mobile applications). 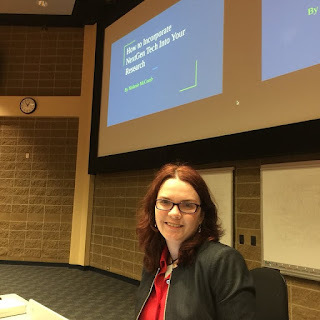 I will be giving a variation of this lecture (which will focus more on how to use NextGen tools to further your research) as well as a new lecture on Prince Edward Island repositories and records at the upcoming Ontario Genealogical Society conference, 6/1 - 6/3 at the University of Guelph. I'm very excited to be presenting at an international conference. Before this conference starts there will be all sorts of tours and events going on starting on that Thursday, May 31st. Do you have ancestors that travelled by train? You may be interested in the Palmerston Railway Heritage Museum Tour. Want to sneak away to do some research? 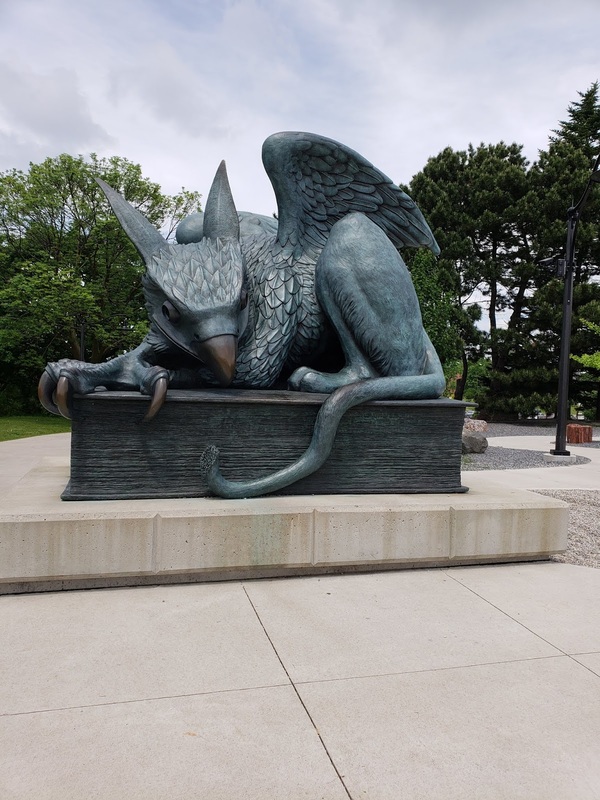 You may want to check out the tour at the University of Guelph McLaughlin Library? Find yourself a foodie? There's a brewery tour as well as an olive oil tasting tour. Want to check out the city? Check out the bus tour going to the McCrae House, Guelph Civic Museum and Basilica of Our Lady Immaculate. There are some wonderful workshops on Friday presented by speakers like Amy Johnson Crow and Kirsty Gray. 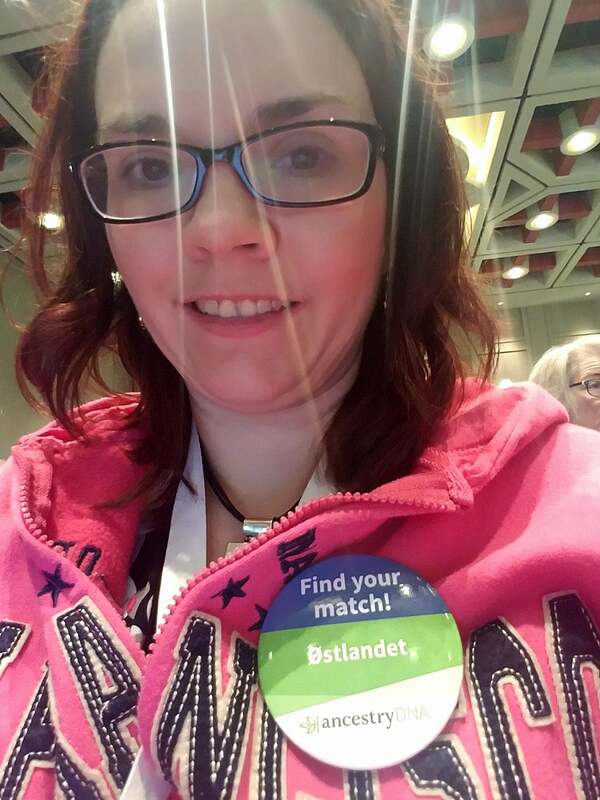 Mags Gaulden (from Grandma's Genes) is giving two DNA workshops that will be of interest if you're looking for help on locating your DNA matches and how to connect them to the global family tree. Saturday and Sunday are when the majority of lectures are occurring. There will also be an expansive Marketplace where you can check out vendors. The platinum sponsors for the conference are LivingDNA, MyHeritage, Ancestry and Pass It Down. 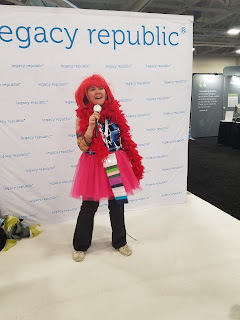 You will have the opportunity to check out the new swag offered by the NextGen Genealogy Network, who will be in attendance at the conference. The last day to register online and order meals is May 11th. Don't delay and register! Will I be seeing you at the conference? What lecture(s) are you looking forward to attending? I started using GEDMatch a few years ago after I started testing my DNA and wanting to find more cousins and learn how to better analyze my results. Genetic genealogy is an important part of the genealogy tool kit to verify your paper trails. And sometimes you uncover a surprise like an NPE, a non-paternity event (ex. a parent isn't a match to a child). In my case, you find out about a child that you never knew was in the family. Check out my blog post about Thomas Corcoran. The process to add your DNA profile is fairly simple. You can register for a free account (or pay $10/month to be a Tier 1 subscriber for some tools). You download your DNA file from the site (usually a commercial one like Ancestry, 23andme, FamilyTree DNA, MyHeritage, etc.) and upload it. Note: GEDMatch has created a generic upload that will work for other kits as well. Then you usually wait a couple of days before you can run the one to many matches to see the DNA cousins you have. Suffice to say I have a lot of DNA matches b/c of my Ashkenazi Jewish ancestry. You can also add a GEDCOM file, which contains information from your family tree. This can be useful in conjunction with your DNA profile to search across your DNA matches and help narrow down cousins and hopefully find your most recent common ancestor (the one you both have in common). 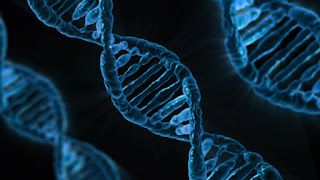 When news spread of the arrest, discussions started occurring within the genealogy community in regard to how the police conducted their investigation to identify the suspect based on DNA. One of the main concerns was that law enforcement used GEDMatch without a warrant and that in doing so violated the rights of users who upload their DNA to GEDMatch for genealogy reasons and probably had no idea their information would be used in a police investigation. I think it's going to be an interesting trial as we learn more about the investigation. GEDMatch's terms of services don't prohibit use of the site by law enforcement and warn users that the site could be used for "other purposes". 2 Now is the time to make terms of service crystal clear on what private web sites can be used for so that users can understand any potential risks of having their DNA uploaded, whether it's an unknown relative or a possible criminal investigation into someone related to you. I do want to encourage everyone not to panic and purge your data from GEDMatch. DNA is being used more frequently to clear suspects of charges and it's in our benefit to assist law enforcement where possible to solve these horrible crimes. We do need to make sure that our laws are up to date as technology is evolving to make sure that any necessary procedures are in place (ex. search warrants) before police start searching in a pool like GEDMatch (especially if they are not versed in constructing family trees like us genealogists). I'm hopeful that with these changes, we can continue to capture the bad guys and help guarantee a conviction. It would be very sad if police went to such lengths to identify a killer and the case is dismissed due to improper handling of evidence. Genealogy is like a long version of a scavenger hunt. You get some clues and you have to figure out what they mean to get to the treasure. Maybe you have an oral history passed down, a document you found at an archive, perhaps a photo without your ancestors labelled. And your next goal is to find out more about your ancestor and then you hit a brick wall. No records found in the location you expect. If your ancestors are like mine, they pick up and can move quite far away. Let's look at my great grandfather, Thomas James Corcoran. He grew up in Dillonstown, County Louth and was then sent off to America at the age of 26 to meet a cousin. The rest of his family stayed behind in Ireland. You can read up more about why he left here. He never came back to Ireland so the record trail would run cold if I only continued to research him in Ireland. My 3rd great uncle Peter Dougherty also left for America. He was born in Ireland but went with his family as a young boy to Prince Edward Island, Canada and then ultimately came to America to homestead. I then think of our current generation where it seems like nobody really lives in the same place for long. From my personal experience, I grew up on Long Island, NY until I was 18. Then lived in central, NY at college and then back to Long Island for two more years following graduation. I then went back to central NY to live in Syracuse for the next 10 years. I'm now about to make another big move and go to Boston, MA. I wonder sometimes if anyone researching me years after I pass if they'll be able to trace my migration pattern. They would need to understand where I went to school and look at the FAN club to see that I had college friends in Syracuse, NY area (maybe one day Facebook will be archived and give some clues to who we associated with). Then I wonder what they think when they're looking for me in 2018 and I'm not in NY. I'm probably not listed in any city directory or phone book. And who would think that I would make a jump to Boston from central NY? I don't have any close family there. Let's throw another wrinkle into this equation. I lived in Onondaga County, NY but my marriage actually took place in Madison County, NY in a small town called Canastota. We found a wedding venue there and there was no restrictions on where we got married in NY. My marriage certificate is actually filed at city hall in Dewitt, NY (in Onondaga County in a neighboring town near where I lived). To leave a lasting legacy we need to leave some kind of paper trail. Type up the family history and include yourself before you donate it (or leave it set up for donation after you pass) to go to a historical society. 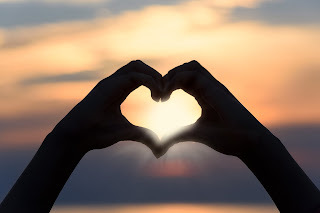 Blog about your experiences while you're still here on this Earth and share the history. Oral history is such a valuable resource and the stories passed down capture more details than most manuscripts. There are people who knew your ancestors. Record their memories and say their names to keep them alive. Leave those bread crumbs so your story can be found. What does your scavenger hunt look like for your descendants? 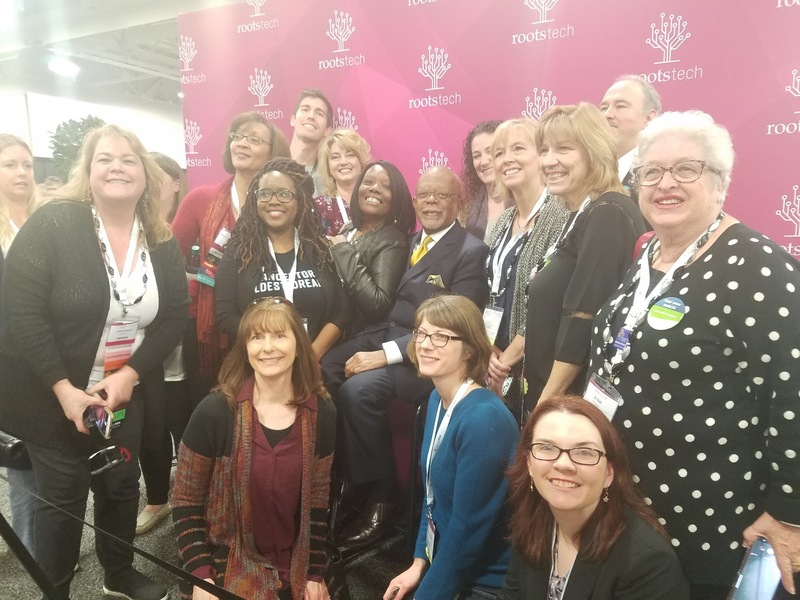 Another day wrapped up here at RootsTech. 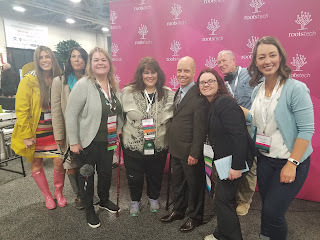 I started off yesterday with the keynote speech by Scott Hamilton. He talked about how his upbringing (adopted at an early age) and how he got into skating. It was a very moving speech. I had the honor of participating in a group interview and asked him if he was going to pursue researching genealogy after receiving more updated information about his ancestry. Here's a link to the interview if you're interested. Below is the photo with my interview group. Next I attended the Find My Past luncheon, I had the opportunity to talk with CEO Tamsin Todd and Executive Vice President of International Business Ben Bennett. I had lovely conversation with both of them and talked about my blog and NextGen Genealogy Network. I explored the Exhibit Hall in between sessions, checking out different vendors (including some of my friends at Family History Fanatics booth). 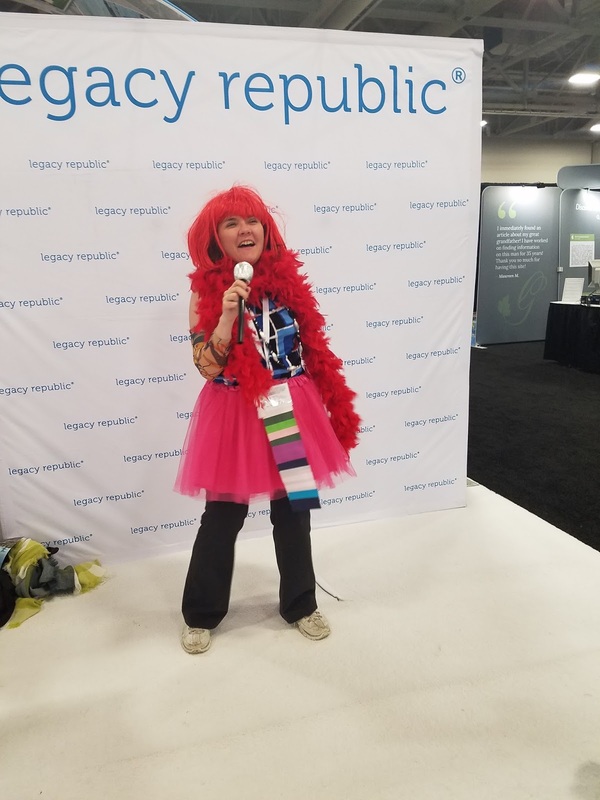 Legacy Republic even had a photo booth set up - you ca see my pic below. Later yesterday evening I attended the MyHeritage After Party. The theme was Roaring Twenties and I dressed up for the occasion in my flapper dress. It was a fun time and I enjoy going to these parties every year. 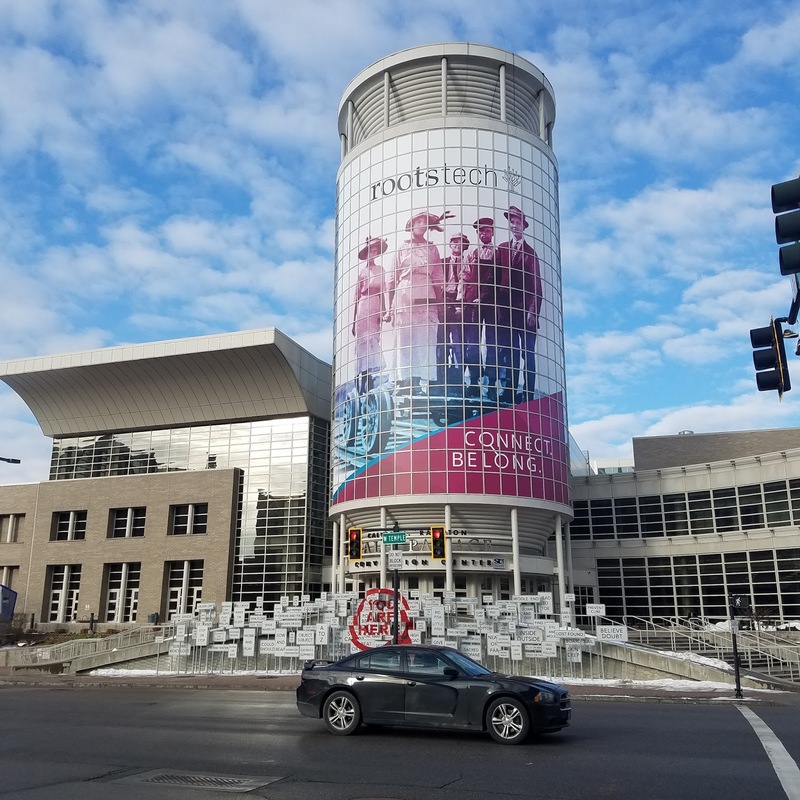 Another day here at RootsTech. Today's day started with a talk by Aaron Godfrey, VP of Marketing at MyHeritage, who announced the launch of http://www.dnaquest.org. This initiative was launched to help adoptees find their birth families. 15,000 DNA kits will be provided free to eligible participants. This is such a beautiful announcement and I'm glad more companies are taking up the charge to lend a hand where they can. 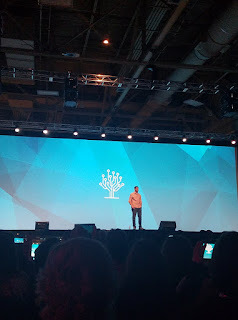 The keynote speech was by Branton Stanton, whose blog is "Humans of New York". He had such a moving speech when he talked about how you need to do what you love and not just focus on the money, the cars, etc. He also talked about how he approaches strangers to interview/photograph them, he asks very deep questions. We need to embrace the hard questions more and reach out to people. Everyone has a story - let's share our stories in our genealogy. I next attended the lecture "Call to Action: Diversity in Family History Tech" by D Joshua Taylor. This was a really important topic and I'm glad that it made it into the schedule this year. 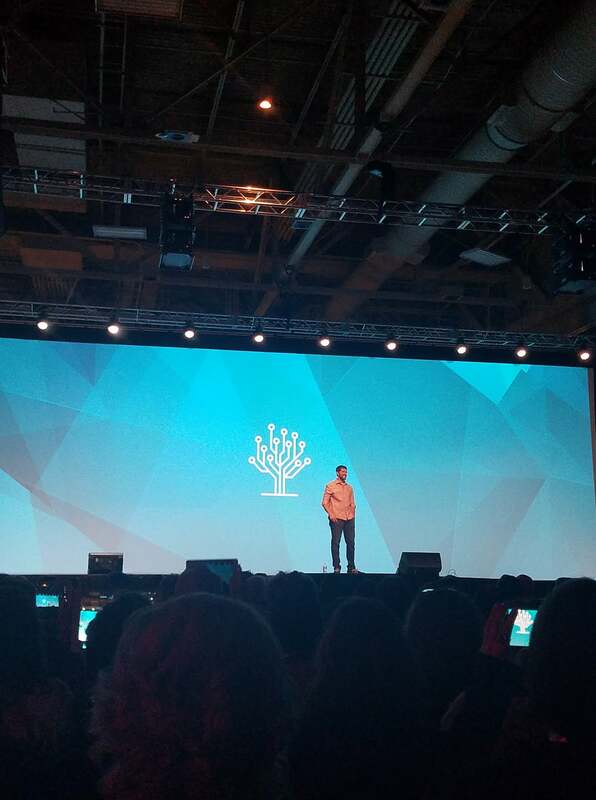 Josh talked about how we need to embrace our family history with an open mind. Not every family consists of a mother and father and two sets of grandparents. Each family is diverse and this is becoming so true today. We need to go beyond the standard pedigree model and focus on the individual and the people that were important in their lives. I think this was such an important message as we find that our ancestors' lives could be complicated and don't fit the cookie cutter model. The technology software needs to fit a diverse group of people and not just have band-aids applied to squeeze in other facts. I'm going to finish up a few more lectures here before retiring to get dinner and then get ready for the NextGen Genealogy Network meet up tonight at the Marriott. I hope to see some of my NextGen friends there later!